What Amazing Times and Energies We Are In! Jupiter, Saturn, Uranus, Neptune and Pluto. The month starts with Mercury in its three-week retrograde that lasts until Feb. 11th. The result of the above planetary influence has created a powerfully introspective time for many people globally. As 2015 gets rolling thoughtful people everywhere cannot help but wonder where this global society is heading at times yet the Light at the end of the tunnel is the draw towards a reawakening of a “Wisdom Culture” in the near future. We begin to turn outward again awakening to new life as the spirit of Winter Carnival rises within us. It’s time to frolic, dance and become a child again. Each of us is a child of this magical New Year coming to be. The new spirit that entered on Winter Solstice becomes conscious at Imbolc / Candlemas (Feb 1-4), the Winter Cross-Quarter. The New Year spirit is quickened to awareness during Winter Carnival ending with Mardi Gras Feb 17. Carnival is the season to awaken the dragon that will be tamed during Lent. The bigger the dragon awakened and trained to purpose the more creative energy is available for the New Year. Traditionally lovers are chosen on Valentine’s Day because it’s easier to awaken and tame dragons in twos. While this may or may not be true, the techniques for awakening and taming dragons are pretty much the same for individuals as for twos. Many celebrate Carnival and avoid Lent, others observe Lent but ignore Carnival. In general, those who ignore Carnival are more likely to be repressed emotionally while those who celebrate Carnival but avoid Lent are more apt to be dominated by their own passions. When both Carnival and Lent are given their due the vital force (symbolized by serpent or dragon) is stirred to life and integrated to power our new creation. 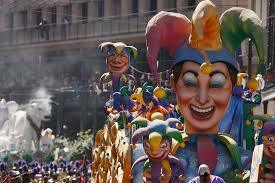 Carnival and Lent are important pagan fertility rites partially adapted by the Catholics. Placing ashes on the forehead was originally an Anglo-Saxon shamanic practice performed in the weeks before Spring Equinox. The purpose of ash (think carbon rings charged with solar energy) is to stimulate the brow chakra and draw up the spine the primal energy awakened in winter carnival. The Chinese New Year 2019, beginning on Feb 5th also signals an awakening of vital forces, it is celebrated by dragons dancing in the street. The dragon appears to be chasing (or is led by) a bouncing ball suggestive of dragon training or focusing on a goal. When does a year really begin? Different cultures celebrate New Year at different times because the year begins on several levels. The Lunar New Year celebrated in China adds the vital emotional dimension. Each lunar year is symbolized by an animal, element and color. 2019 is a Yin, Earth Pig Year (Year of Fortune and Personality). The Chinese New Year celebration culminates with the Lantern Festival on the Feb 19 Full Moon. to come out of the hat. The Celtic celebration Imbolc (Gaelic for “in the belly”) marks the first stirrings of Spring in the womb of Mother Earth. The vital forces of Nature are quickening now for a new cycle of creation to be. 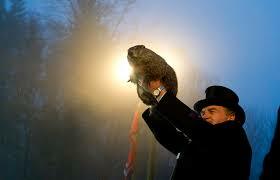 This Imbolc holiday tradition grows out of an old Celtic custom of scrying the future through animal signs. Birds and burrowing animals are the special messengers in this time. What was conceived in the unconscious at Winter Solstice becomes illuminated as we, like the groundhog, come out of our winter homes to stand in the light of a new creation. All the world comes round right as the shadows of winter night give way to this new light. To guide me to my destiny. 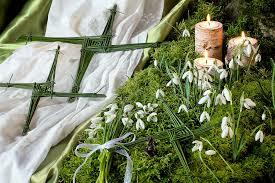 The New Year quickens to life in the fires of Candlemas, the cross-quarter day that honors Celtic fire goddess Brigid. 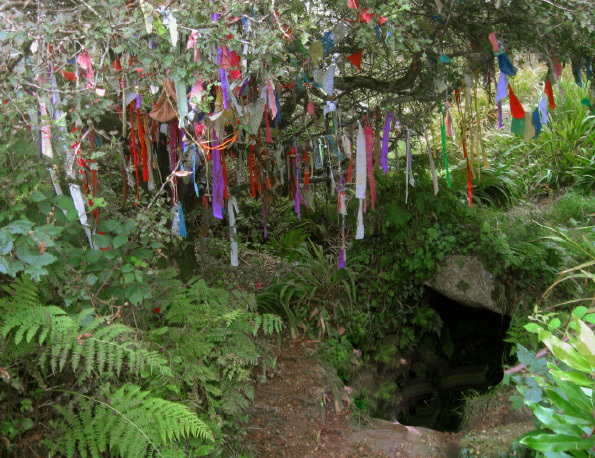 It was also called Brigantia for the Celtic female deity of light, calling attention to the Sun’s being halfway on its advance from the winter solstice to the spring equinox. The Irish summon her to chase away winter. In Christian tradition Candlemas marks the purification of Mary and the Presentation of Jesus at the Temple when he was a baby. It occurs 40 days (inclusively) after Christmas Day. In some churches it is celebrated on a nearby Sunday. While in many countries Christmas decorations are traditionally removed on Twelfth Night of Christmas (January 5, also known as Epiphany Eve), for other countries it is customary to remove them on Candlemas. The exact Candlemas cross-quarter (midpoint of Winter) in 2019 is 10:01 pm EST Feb 3. The lights of Candlemas also symbolize Ceres’ (also called Demeter) torchlit search for her daughter Persephone. The rediscovery of Persephone is the first glimmer of conscious light in the dark of winter. Now the nature of the new cycle can be gleaned, visions of the future can be seen. The Mysteries of Persephone are celebrated now in the Greek mystery tradition. 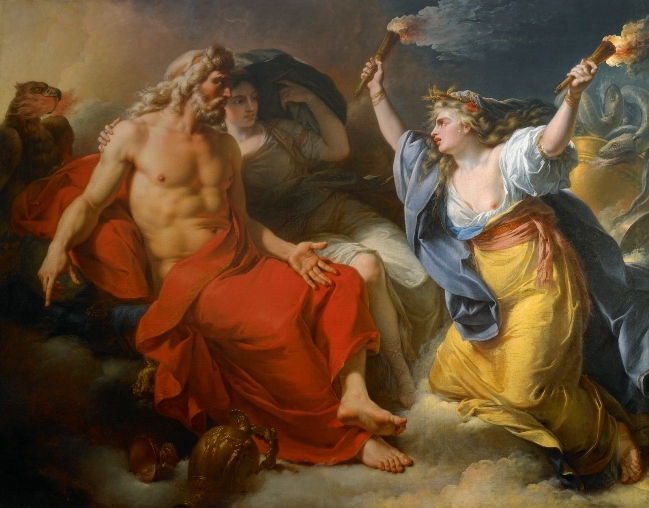 Persephone returns from the underworld with her torch bearing mother Demeter (America’s Liberty). Demeter and Persephone reunited bring blessings to the world. Cairleach, the Celtic crone of winter now gives way to Bride/Persephone, the rejuvenated/rejuvenating goddess of the new cycle. Persephone presides over the death, rebirth and healing of the king – and the coming forth of the true king – in this cycle. The feeling need for a true king, avatar or champion is a collective invocation in this time. 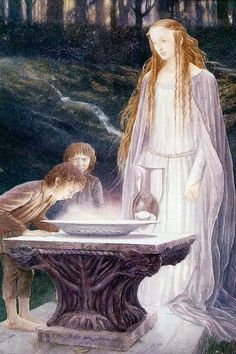 In her quiet and solitude woman invokes the divine return. 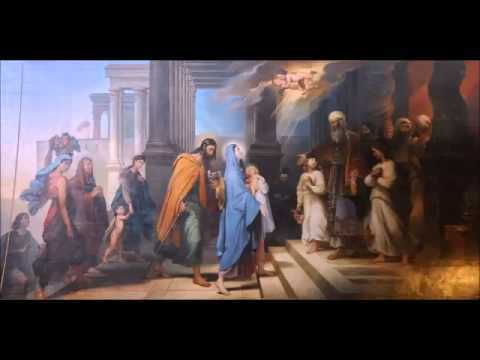 The Candlemas Purification of Mary is the clearing of Earthly consciousness for reception of Divine light. Candles are blessed to protect from lightning and other natural disasters. Mary mediates the forces of Nature including lightning. In her Magdalene form, she is Mary of the Tower. Psychic lightning bolts are invoked to clear psychic shadows from the astral world. In ancient Greece the Mysteries of Persephone celebrated at this cross-quarter were preparatory for the autumn Mysteries of Eleusis. Persephone is accompanied by serpents and their appearance in nature (or in dream) portends her emergence. Long before the groundhog came to represent this time the Celtic people looked for serpent signs. The snake emerging in the natural world parallels a force rising within which, when trained and focused to purpose, can work miracles. The serpent is the kundalini which raised rejuvenates life. The stirring of new life is the rising of primal energy for a new creation. Training this energy is the purpose of the season’s ritual celebrations. Every cycle has 8 pivotal times or turning points when what is to unfold can more readily be determined. During these times free will is augmented. 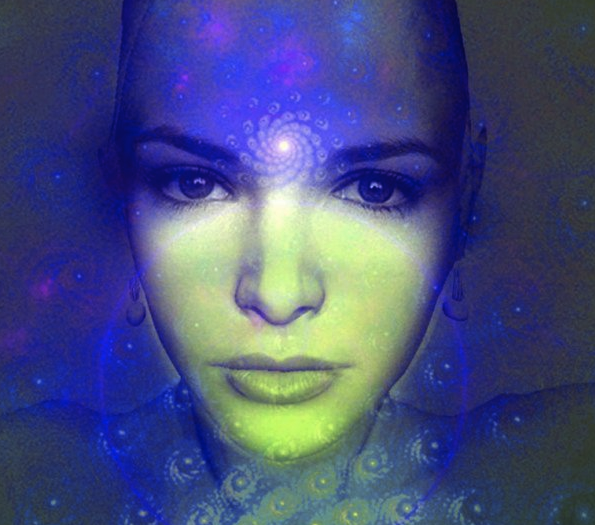 Particularly effective for initiating change are the midpoints of the fixed signs Taurus, Leo, Scorpio and Aquarius. These fixed sign midpoints focus elemental energies and shape what will be in the following season. This Candlemas/Imbolc ritual can effectively be done any time between Feb 2 and Feb 18 when the Candlemas Hora ends. It might be repeated in this time until the future forecast is clear and what is to be is envisioned satisfactorily. Forecasting is both passive predicting of influences and active envisioning and shaping what is to be. This is our time to scry and shape the future of our dreams. The set up for the Candlemas ritual is simple: First place a small (ideally silver) bowl filled with water in the middle of your celebration space. Put in the bowl 3 round stones perhaps from a creek or beach or gem shop, round is key. Then arrange 3 candles to form an equilateral triangle around the bowl. Optionally, small vines or other greenery may be placed about the bowl. Use vervain if available, this is the traditional herb for the celebration. It’s purpose is purify and protect against astral influences. Dance and merry making will do this too. 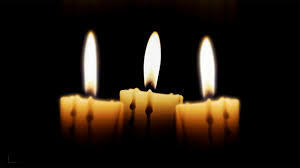 The Celebration: Light the 3 candles moving clockwise (Sunwise) and then just walk or dance clockwise around the center. Chanting or singing simple songs can quicken the energy and help synchronize breath with movement. Dancing 3 times around sets and clears the circle. Circling clockwise 7 times will dispel illusions and break all shadow spells. You might invoke the presence of spiritual forces and then put intentions on the air. Some may spontaneously speak in rhyme after setting the circle. When the dance movement feels complete sit and gaze into the water pool between the candles to gain insight regarding the future year and the role you may play. Remember that the water element connects us with our unconscious and the collective unconscious of the astral world. It is here we find the shape of what’s to be. In focusing on the glimmering water, remember the Genesis quote “and the spirit of God moved on the face of the water.” Here at the edge of water and air the future is seen. 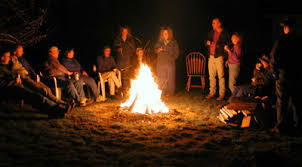 This ceremony is most effective when done in a night time canonical hour: the hour beginning with Sunset, the Midevening Hour (starting halfway between Sunset and True Midnight) or True Midnight (starting halfway between Sunset and Sunrise). The hour half way between True Midnight and Sunrise is also good if you’re an early riser. This hour resonates with the Candlemas hora (15 day period Feb 2-18) in the year. Another tradition is to wet the right forefinger in the bowl of water then hold it up high and draw a circle in the air above. This is to open a window into the future. You might also put water on the brow center to help open the inner eye. Candlemas is all about clearing and seeing the way forward. This is magic time, a time to create anew. The day before New Moon until Sunset a day after is ideal for inner work to seed the new cycle; outer activity is favored after the new crescent appears. Old Year/ Old Moon shadows give way as we connect with the light within, and breathe. The New Moon (exact 4:04 pm est on 2/4) is a cosmic spring that flows freely as we slow down. Nostradamus calls New Moon “the day of Diana, a time for silent rest.” It is like a psychic black hole, Alice’s rabbit hole. Many great wonders await our following the Moon Hare within. Here we can know what is and how to shape what’s to be. This Lunar New Year Moon brings our dreams to life. A year has several beginning times on different levels of being. The Year conceived at Winter Solstice / New Year comes to life on the emotional level at this Lunar New Year and becomes physically manifest in Spring 2019 is a Year of the Pig. It’s time to bring forward what we wish to be realized. Farmers plant seeds when the crescent appears, seeds become fertile on every level, all new beginnings are favored now. Meditation opens doorways, wishes take wing, prayers bring blessings for this Moon and the New Year to be. This Moon is like a scythe cutting across the sky, it’s time to cut free from the trappings of the past and affirm our purpose moving forward. 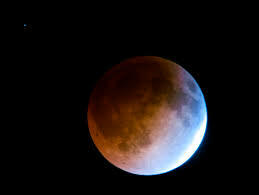 Sacred to the Druids, this Moon is pivotal in the cycle of creation. Choices made are likely the right ones. Breathing deeply through the light of the crown frees energy flow up and down the spine to clear shadows and power our dreams. Birds choose their mates on this day and so do we. Valentine’s Day began as a pagan festival when lovers were chosen in games of chance. On Lupercalia Eve (the evening of Feb 13) the names of girls were written on pieces of paper and put in a jar from which each young man would draw a name. This would be his “girl-friend” for the year. This is the origin of Valentines. Number 14 reduces to 5, the number of Venus, goddess of Love. Since the heaviest snow usually falls during this month, native tribes of the north and east most often called February’s full Moon the Full Snow Moon. Some tribes also referred to this Moon as the Full Hunger Moon, since harsh weather conditions in their areas made hunting very difficult. Full moon in Leo prefers the road less traveled. While many full moons are about manifestation, this one will be more about releasing or letting go. Full moon rituals can be very helpful for purging and cleansing and this month is one where it could be quite beneficial for taming the dragons that have manifested or appeared in your life over the past few months. You may consider leaping over a fire or flame (even if just a small candle) 3 times while setting your intention to sever the cords that have bound you to negative issues. This Moon cuts away all that distracts from putting dreams into action. The 3rd Quarter Moon integrates new ideas into creative expression; it’s time to follow our bliss and do what feels good in concert with the whole. Ash Wednesday, Mar 6 – Train Your Dragon! 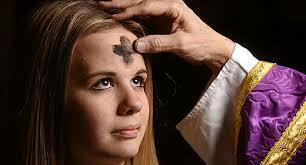 At Noon on the first day of Lent, wood ash is rubbed on the forehead. This stimulates the brow chakra and draws vital energy up the spine. So the primal “dragon” awakened in Carnival / Mardi Gras (literally “the oil of Mars”) is raised and focused toward realizing goals, hopes and dreams. May February 2019 assist you with releasing whatever is holding you back from expressing your Light more fully in this world as we head into Springtime where our new creations unfold more wondrously! Bright Blessings to you on your journey! If you enjoyed this – share with your friends and sign up for our newsletter at www.ShiftyourLife.com to find out about upcoming events and podcasts!